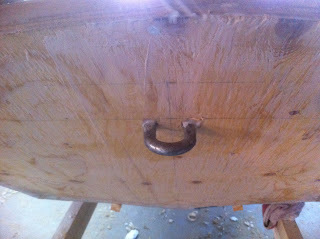 Once the seats and gunwales were dry I set about cleaning up the interior. I used thickened epoxy to fill in any gaps, voids or holes. 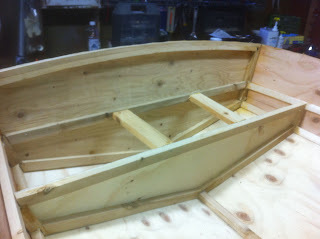 Everything was sanded once the epoxy set. I also used this opportunity to install a ring on the bow. This will be used for towing the tender so I wanted it to be sturdy. I was also impatient on a Sunday and didn't have access to a real piece of hardware. I used an old shackle and epoxied it in place. Seems to work well. Once everything was cleaned up reasonably well I finished the interior with a coat of oil based primer and oil based boat paint. I wanted to finish the interior first so that I wouldn't scrape the bottom paint later on in the process. 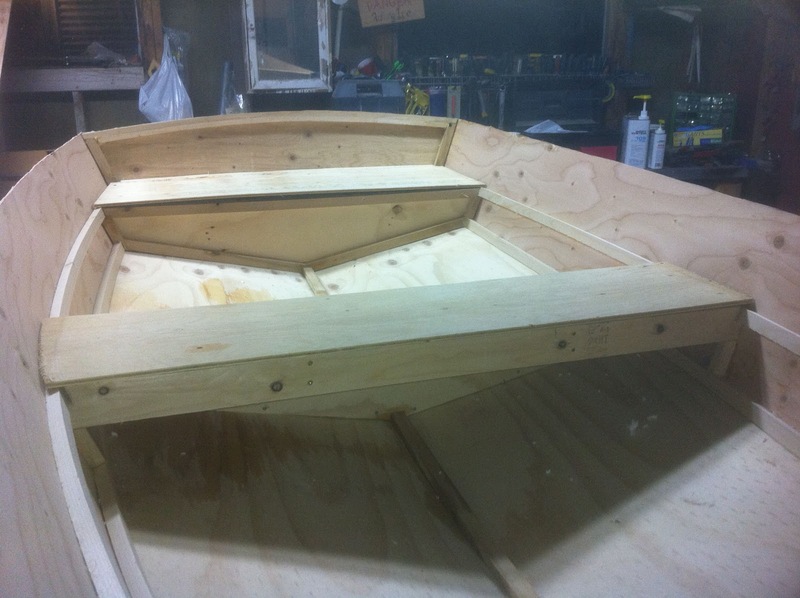 Once everything dried I flipped the boat over for exterior finishing. 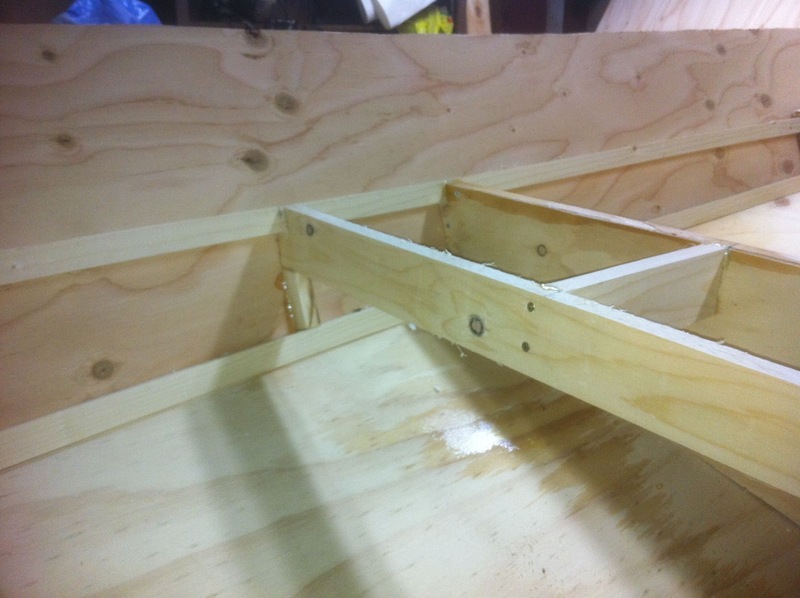 Once the epoxy work was completed on the outside I unscrewed the boat from the supports and flipped it over. I removed all of the extra bracing and build forms. The boat sits well on the 2x4 building jig so I've continued to use that as a working platform. I used 1x4 stock that I had previously ripped out of 1x6 spruce to frame the seats. 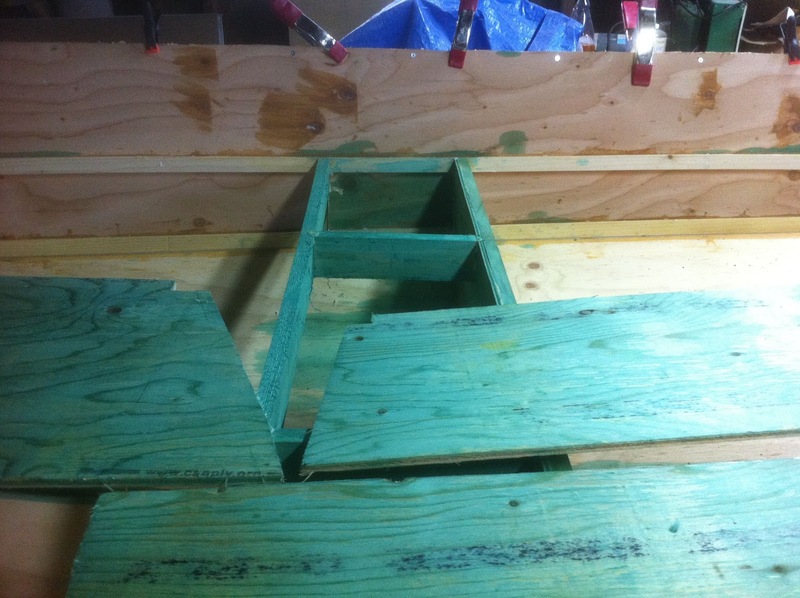 I built the simple frames as shown in the pictures.The front and back seats were built off of the existing mold pieces at station 1 and 5. There were built to be filled with foam and sealed. The middle seat was built open so that items could be stored underneath. For foam I used primarily some pool noodles. I cut them into shorter pieces and crammed them into the spaces as tightly as I possible. The top of the seats are made out of 1/4 plywood. Everything was glued with epoxy. Before assembling the seats I liberally applied wood preservative to the inside surfaces. Since the inside of the seats might get damp I thought it would help prevent rot. The gunwales were very simple to assemble. 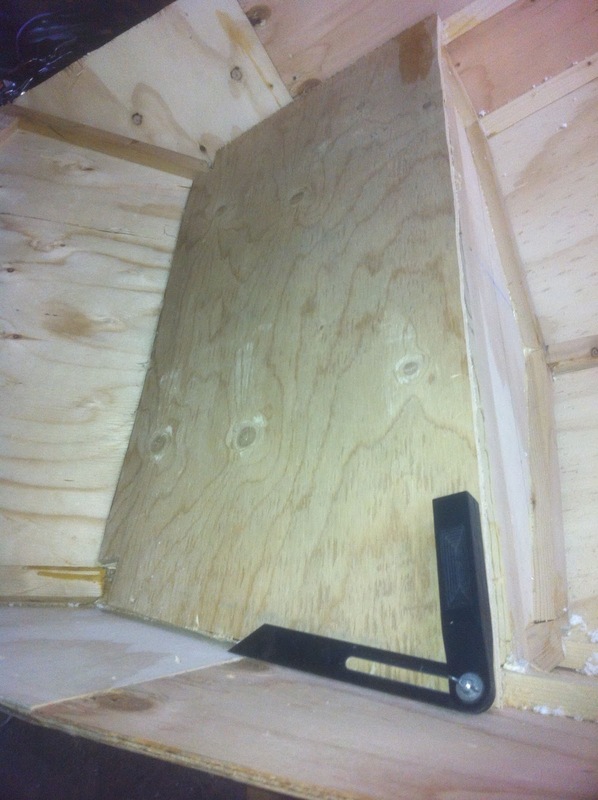 I simply used 1 1/4"x1" strips of spruce. These were fastened with screws and glued with epoxy. 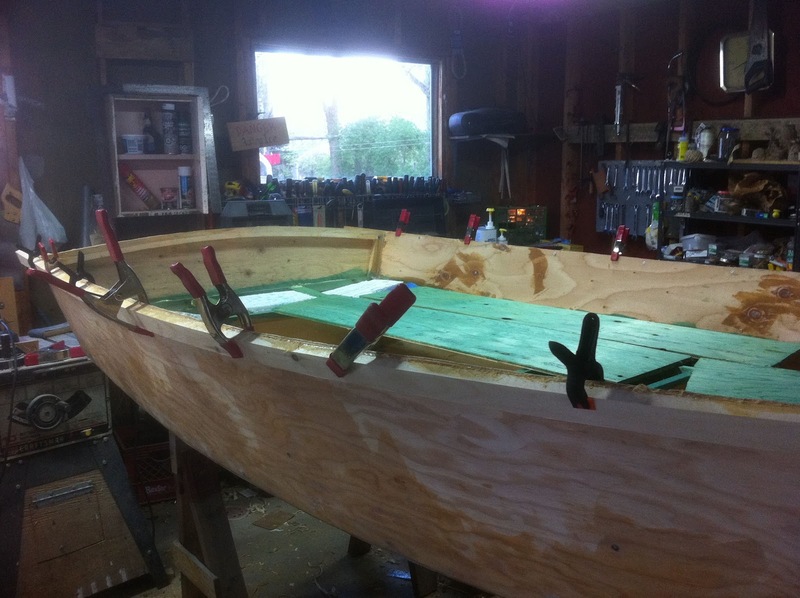 I glued the gunwales on longer than necessary and then cut them off after they had dried.